"Under the Fourth Geneva Conventions, Israel as the occupying power bears the responsibility for the welfare of the Palestinian population. In recent years, international donors and the Palestinian Authority have in practical terms taken on this role. If the PA is unable to provide basic services to the Palestinian population and donors withhold assistance, the emphasis will shift back to Israel to resume its legal obligation." Take 30 minutes out of your day and send a 2-3 paragraph letter to your newspaper editor today. 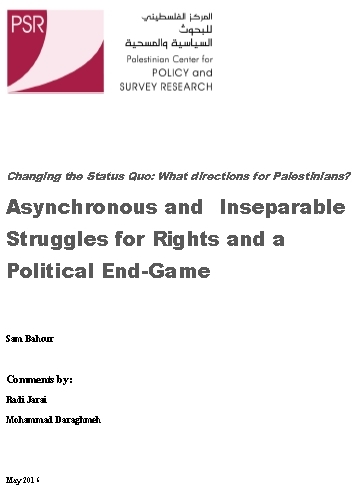 This paper examines the humanitarian risks in the West Bank and Gaza Strip in the coming months. It warns of an extremely bleak humanitarian situation for the Palestinian people. The analysis has been organised according to three scenarios. Scenario 1 reflects the current situation. A more critical forecast is related to the withdrawal of funding to the Palestinian Authority (PA). This has prompted humanitarian agencies to initiate planning based on two further scenarios (2 and 3). 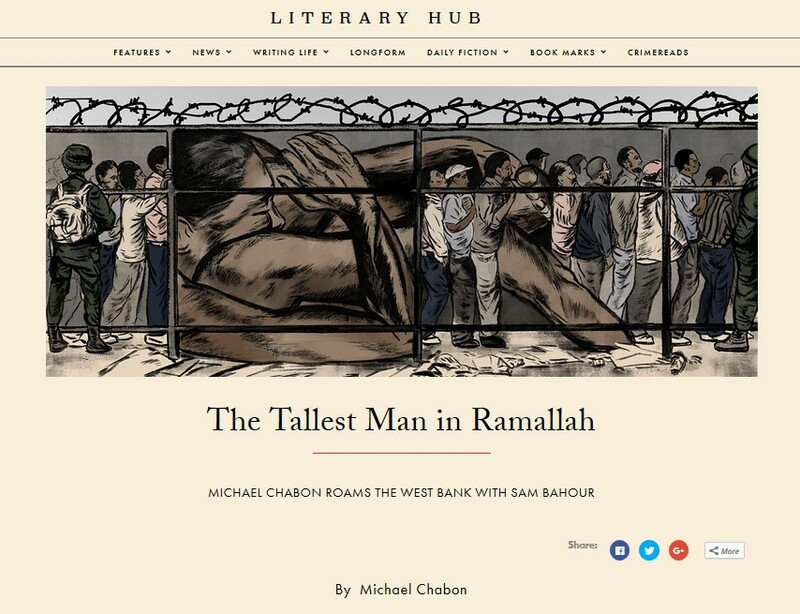 Two articles from different parts of the world, one from a Palestinian Christian and another from a Jewish American, both well worth reading and both articulately reveal the pulse of the street, both Palestinian and Israeli. "No contacts with the Palestinian Authority." These were the instructions of the U.S. administration and the European governments. How brutal and unfair! Once again, the double standard by which the U.S. deals with the Palestinians vis a vis Israel creates more ill feelings and bitterness and pushes away the possibility of peace in the region. 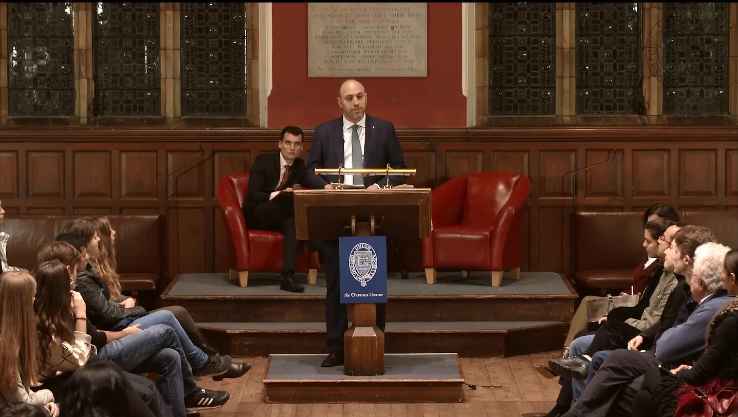 This past week, "The Israeli Lobby and U.S. Foreign Policy," a study by Professors Stephen Walt from Harvard's Kennedy School and John Mearsheimer from the University of Chicago, was widely circulated. It confirmed what we have been saying for years. 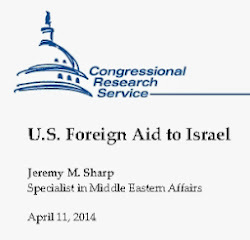 In the study, the professors conclude that the flagrant, longstanding pro-Israel bias in U.S. Middle East policy benefits Israel, but works to the disadvantage of U.S. national interests. One of their most significant conclusions is that the U.S. has a terrorism problem in good part because it is so closely allied with Israel. Indeed, Paul Findley in his article "Silence of the Poodles" quotes George W. Ball (1909-1994), the distinguished diplomat, author of The Discipline of Power, and champion of human rights who had served as Undersecretary of State and U.S. Ambassador to the U.N.: "When Israel's interests are being considered, members of Congress act like trained poodles. They jump dutifully through hoops held by Israel's lobby. ... The lobby's most powerful instrument of intimidation is the reckless charge of anti-Semitism." It is no surprise, therefore, for the U.S. to take this stand. But for the Europeans not to have the moral courage to stand independently from the U.S. was the biggest disappointment. What happened to the "Liberty, equality, and fraternity" of France? What about the moral obligation of Britain, a nation that played a significant role in the root causes of our dispossession? By what moral values and sense of logic and justice can an occupying authority which has been oppressing a whole population for the last 39 years, flaunting U.N. resolutions with impunity, continue to be rewarded both financially and morally? 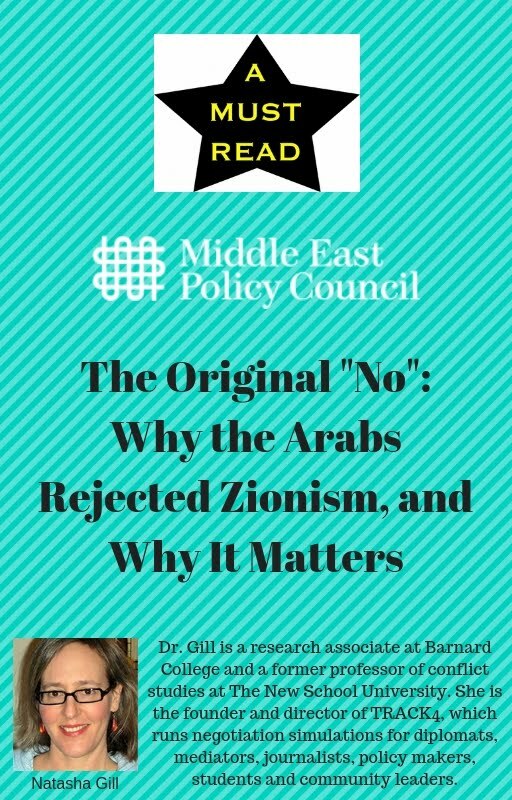 Should the people of Palestine be oppressed further because they voted for change and reform in a democratic election after exhausting other options for achieving liberation and independence? When Mr. Arafat was president, the U.S. forced him to relinquish his powers to the prime minister; but now that the prime minister is from Hamas, the demand is that he relinquish his powers to the president. What does the world community think we are? Pawns on a chess board to be moved by the U.S. and their European poodles as they may please? And will we be moved off the board entirely when foreigners declare a checkmate? This policy rife with double standards will not force the Palestinians to kneel and relinquish their rights. It will only lead the whole region into a disaster. Yesterday we were at the YWCA to bid farewell to the General Secretary. One of the women arrived so angry and frustrated after crossing the check point that she told us that we should not be surprised if she ends up a suicide bomber. I could not believe my ears, but this is a sign of how bad the situation has become, and it certainly will be a new phenomenon for Christian Palestinians. If a woman from a comfortable home feels that way, what do you expect from a starving population in Gaza, Nablus and Jenin and other refugee camps? Or the plan to make the situation so hopeless that either the Palestinian Authority will be forced to kneel and acquiesce or the frustration and violence of the jobless and hungry population will be directed against the occupation itself? Israel would then have the perfect justification for boosting its oppressive measures of ethnic cleansing to "face the demographic threat" and call it security. All this is happening under the silent watch of the international community, which continues to demand that Hamas recognize Israel and stop the violence. 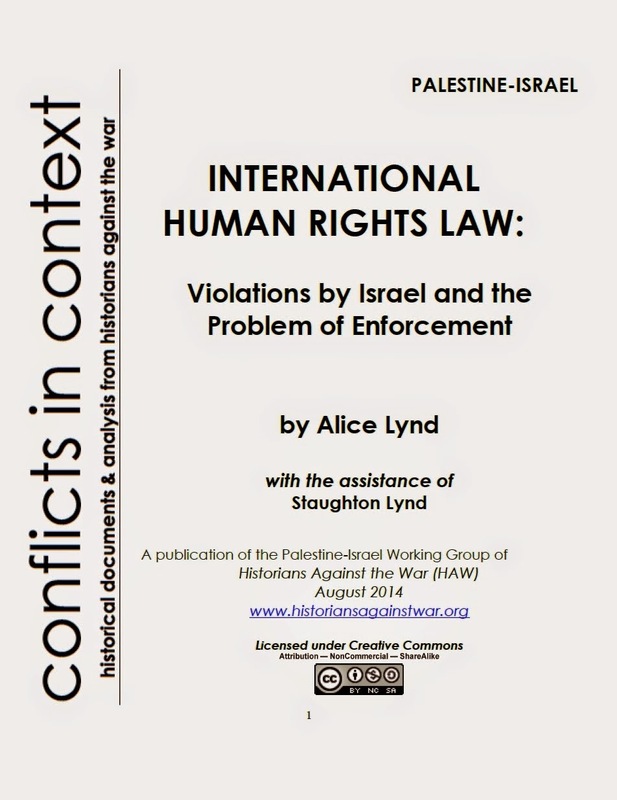 Why has nobody ever demanded that Israel stop the state violence and recognize the rights of the Palestinians in accordance to UN resolutions? And besides, which Israel is Hamas supposed to recognize when Israel is constantly and unilaterally moving its borders by confiscating more land and by building more walls on Palestinian territory? 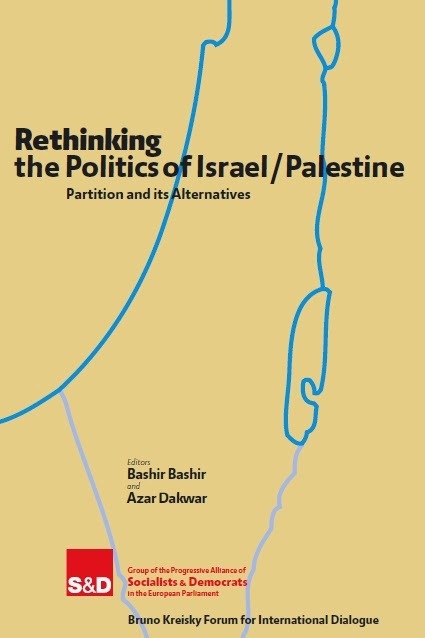 Why were the results of the Israeli elections accepted with a blessing despite the new prime minister's stated policy of such unilateral shifting of borders? For heaven's sake, you good people out yonder, stop being naive! If Israel were truly interested in peace, Hamas would not be an obstacle. The peace process started with the Madrid Conference in 1991 when Hamas was only four years old, and was being encouraged by Israel as an alternative to the PLO. So Israel had plenty of time prior to Hamas' rise to abide by peace agreements if Israel were serious about peace. But instead it has deferred their implementation by claiming that it had no peace partner. Please help put an end to this disastrous situation that is killing us all! Is there any hope for your governments to serve as honest brokers and to speak out for justice despite intimidation so that peace will eventually prevail for all the peoples of the region? Samia Khoury is a regular contributor to The Witness. Her monthly column is "Justice & Liberation." Samia may be reached by email at khourysamia@bezeqint.net. Published by The Witness (www.thewitness.org), April 21, 2006. Jerusalem--I don't know how many times I have been to this country. I would guess several dozen, for trips of various lengths, over the past 38 years. I have been here in good times and bad. The worst was the period of the suicide bombings, when I learned that in Israel you never, ever, turn off your cell phone in case someone needs to check if you are still alive. Or you need to check on someone else. The best years were immediately after the Six Day War when Israelis were still basking in the joy of victory and busily exploring the newly captured West Bank, Gaza, Sinai, Golan and, above all, East Jerusalem. Even the Palestinians seemed, if not welcoming of occupation, happy about the influx of tourists and about the sudden ease of travel between the Arab towns of Israel itself and the West Bank. In recent times, the best years were, by far, the 1997-2000 period when, thanks to Israeli-Palestinian security cooperation, there was virtually no terrorism and Israelis flocked to the West Bank to shop and play and were welcomed by Palestinians who, like Israelis, were benefiting from the strongest economic boom in Israel's history. The mood today, strangely enough, is most similar to the1997-2000 years. The Hamas victory is a dark cloud on the horizon but Israelis seem not to have been as surprised by it as Americans. Nor do they seem especially afraid of Hamas. They hope that Hamas will not resort to the terrorism of a few years ago but are completely confident that they can handle it if Hamas is "stupid enough" to attack. A full 40% would negotiate with them right now. One Israeli told me, "as long as they maintain the cease-fire, we are not going to look for ways to fight them. We don't care about their rhetoric so long as it stays rhetoric." A top politician, soon to be a minister in the new government, said that Israel's best hope right now is to do everything it can to strengthen President Mahmoud Abbas. 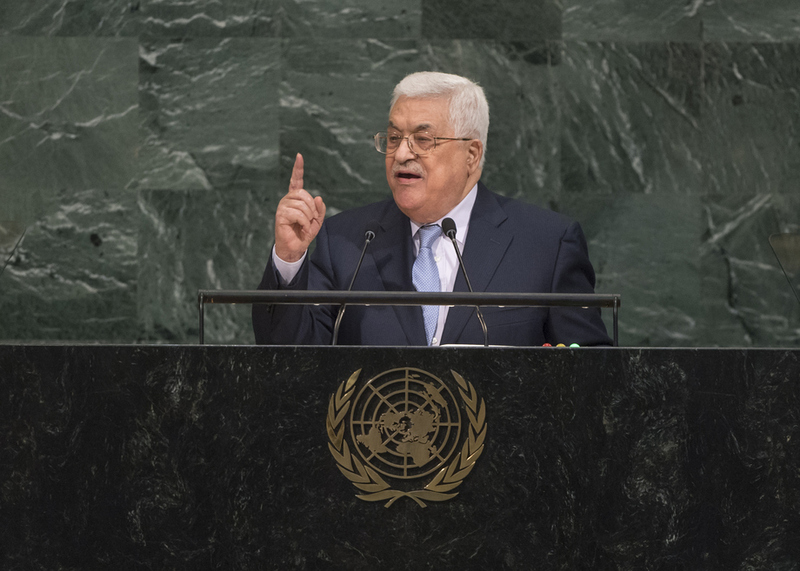 "Whether we go the negotiations route, which is unlikely, or to a unilateral withdrawal, we need Abbas. 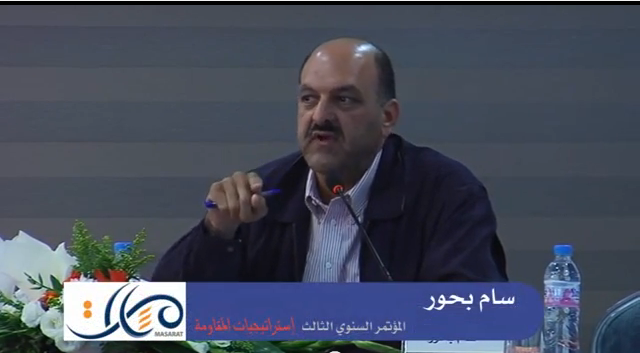 We need his forces strengthened and we need to use him as a conduit for international aid." No one here favors any US actions that will block critical aid to the Palestinians. The same soon-to-be minister called pending Congressional moves that would block humanitarian aid "immoral and, worse than that, counterproductive. You will end up strengthening Hamas and weakening Abu Mazen if you go that route. We do not want that. Take that message to your Congress." Israelis are far more worried about Iran but they consider Iran not an Israeli problem but a global one. They hope the United States counters Iran, one way or another, but also know that their government will not sit by helplessly if President Ahmadinejad’s genocidal threats seem on the verge of implementation. The April 17th terror bombing in Tel Aviv shook people up. But it did not convince them that a third intifada is about to resume. In fact, Israelis act as if the relatively peaceful status quo will continue despite the feeling that Hamas is a bunch of maniacs. It's a paradox. If Hamas is that fanatical, why wouldn't it launch terror attacks? Israelis seem to believe that they will not, that those in power are "fanatical but not suicidal." One can only walk around Jerusalem, full of tourists and happy locals, and pray they are right. Of course, it is far less cheerful on the Palestinian side. The security barrier sprouts up almost everywhere in the Jerusalem area, dividing people from their jobs, homes, schools, and hospitals. Bulldozers have cleared land for settlements in the E-1 sector (linking Ma'ale Adumim to Jerusalem) that will, if completed, permanently divide the northern West Bank from the southern West Bank and essentially make a viable Palestinian state an impossibility. While regular non-settler Israelis have returned to believing in their own futures, I saw a new Jewish neighborhood in East Jerusalem in which the balconies of the lovely homes directly overlook the abysmal poverty of the Shufuat refugee camp. I saw little settler enclaves that have popped up in the until-now totally Palestinian Silwan area. You see the settlers striding the streets, guns at the ready, and the Palestinians looking away, wondering if they will lose even Silwan where, until now, no Jew wanted to live. Armed settlers march around the Palestinian areas like arrogant Redcoats in Boston. The settlers, and the political right in general, are in a very bad mood. Ariel Sharon's Gaza withdrawal terrified them. Not only did he get out, despite all the protests from the right, he got out easily. No one died in the process. And now Prime Minister Olmert promises more withdrawals. The vitriol directed at him, as at his predecessor, from the radical fringe is awesome to behold. Most Israelis are desperate to get beyond the war and the hate. But a significant fringe thrives on it -- hatred of the Palestinians and, even more, hatred of Jews who favor compromise. These are dangerous people, as frightened fanatics always are, especially when they know that they are on the losing side. Innocents on both sides pay the price. In Jerusalem the other day, I watched a 19-year old Israeli soldier standing, all by himself, "detaining" a dozen Palestinians who he caught trying to slip through one of the spots where the separation barrier is still incomplete. I asked him if they were terrorists. He said, "no, they are just guys trying to get to their jobs." I asked him how long he will keep them standing there. He said that he would wait for his orders. "As soon as I let them go, they will just go down the road to another open segment and get in that way." I asked him, "if that is the case, what is the point of the whole exercise? Is it just to humiliate the men?" He said, "It is not for me to know the point. I have orders." I felt for the soldier. Nineteen years old and being placed in a situation like that. And I felt for the men. I watched as the young soldier made them stand up, sit down, stand up. If there is a method to this madness, I didn't see it. Neither did the soldier. I saw other soldiers later in the day at the military cemetery on Mount Herzl. This is the time of year when Israelis commemorate the Shoah and memorialize the soldiers killed in all of Israel's wars. I watched new recruits in their crisp uniforms, rifles at their sides, listening to lectures about Zionism, about Israel's heroes, about the wars, about Rabin's martyrdom. They were sitting in groups of 20 or 30. Mostly 18 years old, as many women as men, and, in every grouping, a sprinkling of Ethiopians. The Israeli army now looks like the American army, thoroughly integrated. The jarring thing is that these lectures and spiritual uplift exercises were taking place in a military cemetery. Wherever you looked, there were beautiful young kids in uniform. And all around them were once-equally beautiful young kids, under the ground. I could not help but wonder if any of these lovely teenagers will end up here and my eyes watered. But, I have to say, I do not feel that more war is coming. Those Palestinians I saw are tired of being occupied. And those soldiers, and virtually all Israelis I talk to here, are tired of the occupation. When majorities on both sides want peace -- and every single poll shows that they do -- can fanatic fringes stand in the way forever? Herzl said, "if you will it, it is no fantasy." He was talking about re-creating a Jewish state after 1900 years. The same adage applies to ending this damn conflict. [ePalestine] [epalestine] TELL THE UN SECURITY COUNCIL: Don't Cave Into Washington on Iran! I am deeply concerned about reports that the Bush administration is developing plans for an attack on Iran, including the possible use of nuclear weapons. I believe such a strike would also be used as cover for Israel to accelerate its campaign against Palestinians by creating more illegal, unilateral facts on the ground while the world is bewildered by a second Shock and Awe campaign, or worse. I have joined with United for Peace and Justice to call on Congress and the UN Security Council to oppose military action against Iran, uphold the law, support diplomatic solutions to the crisis, and put an end to U.S. nuclear hypocrisy. Click on the link below to add your voice to this critical campaign. [ePalestine] Hats off to Sweden! Sweden called off its participation in international air force exercises to take place in Italy next month because of the involvement of the Israel Air Forces in the drills. Sweden was supposed to send nine aircraft to Italy for Volcanex 2006. "Israel is not currently acting in the name of peace, and therefore, it should not take part in the demonstration," senior officials in Stockholm said. A Swedish Foreign Ministry official said, "The point of the operation is to prepare for international cooperation in preserving world peace. The participation of the Israeli air force changes the prerequisites of the drill." While not mentioning Israel by name, Swedish Defense Minister Leni Bjorklund said that her country is withdrawing because of the participation of "a state that does not take part in preserving international peace." Israeli officials responded harshly to the decision. One government source said, "The lack of sympathy for Israel in Sweden is out of proportion. Some government ministers spearhead the most anti- Israel approach in all of Europe, and particularly in Scandinavia. In meetings between senior Israelis and Swedish ministers, the Swedes refuse to listen to Israel's positions." National Religious Party Chairman MK Zevulun Orlev, called Sweden's decision anti-Semitic, saying, "Just a day after the commemoration of Holocaust Remembrance Day, an enlightened nation has risen and surrendered to the Islamic axis of evil." As my father entered his third and final phase of chemotherapy in the US last week (thankfully fully recovering from bladder cancer), this USA Today article makes my blood boil. As if it was not enough that Palestinian children are born into a life of despair, the US is now on a global crusade to punish Palestinian families for voting into government the "wrong" party. I wonder what caused more damage to our world, Hamas or the Shock and Awe fiasco? At least Hamas has stopped indiscriminate bombings for the time being, and hopefully forever. "Saqqa, a physician, says some of the patients here will die within weeks as the supply of drugs dwindles. His cancer patients don't know it, he says, but the medicine in their chemo treatments has already been diluted by up to 30%." GAZA CITY — Juma Saqqa's gaze darts over the spectral figures hooked up to chemotherapy drips at Shifa Hospital's oncology ward. Saqqa, a physician, says some of the patients here will die within weeks as the supply of drugs dwindles. His cancer patients don't know it, he says, but the medicine in their chemo treatments has already been diluted by up to 30%. Shifa Hospital is one of dozens of Palestinian institutions running low on money and supplies since a government led by the armed group Hamas was sworn in March 29. The United States and the European Union regard Hamas as a terrorist organization, as does Israel, and are boycotting the new government. Donor nations have slashed their assistance to the Palestinian Authority, and Israel has suspended the transfer of tax and customs revenue it collects on the authority's behalf. Hamas has claimed responsibility for terrorist attacks that have killed about 400 Israelis since September 2000. The group's charter calls for the destruction of Israel. The loss of revenue has paralyzed Palestinian government institutions, left salaries unpaid and deepened poverty, according to a report released last week by the United Nations Office for the Coordination of Humanitarian Affairs. The report warns of an imminent humanitarian crisis in the Palestinian territories. 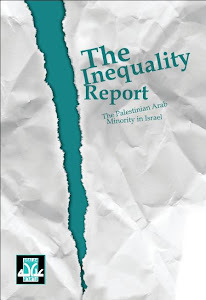 It predicts that unemployment could jump to 40% this year from about 30% now, and that two-thirds of Palestinians will live under the poverty line, compared with a little over 40% in 2005. Gazans already feel the pinch. At Shifa Hospital, even bandages and toilet paper are rationed, Saqqa says. Shifa, a clump of dusty buildings in bustling downtown Gaza City, is the largest hospital in Gaza, which is home to about 1.5 million Palestinians. The hospital is funded by the Hamas-run Health Ministry. Edward Abington, a former U.S. diplomat in Jerusalem who advises the Palestinian Authority, says salaries at the hospital have not been paid, and the authority has been unable to buy medicine. Foreign donations, mostly from the European Union, made up about one-third of the roughly $2 billion Palestinian annual budget before Hamas' overwhelming victory in elections in January. Hamas is looking elsewhere for money. Iran, Qatar and other countries have pledged a total of about $200 million to keep the Palestinian Authority afloat. But Palestinian Finance Minister Omar Abdel Raziq told the Associated Press last week that none of it has arrived. The U.S. State Department has attempted to shift money toward humanitarian aid to try to isolate the government without hurting ordinary Palestinians. The department got the Palestinian Authority to return $45 million in U.S. aid last year and redirected that money toward humanitarian relief. Humanitarian aid this year from the United States will be $245 million. Most of that money is to be channeled through the U.N. Relief and Works Agency, which assists Palestinian refugees. However, 152,000 Palestinians are on the government payroll, so any effort to isolate the government will have an impact on the economy. The Palestinian government has been the largest employer since Israel closed its borders to most Palestinian workers after the intifada, the uprising against Israel, began in September 2000. The bulk of the authority's 2005 budget went to pay civil servants, including about 70,000 members of the Palestinian security forces, the U.N. report says. Those government employees, who last received their wages for February, are the primary breadwinners for one in four Palestinians, it says. James Kunder, a U.S. Agency for International Development official, acknowledged last month that cutting money to the Palestinian government would have an impact on ordinary citizens. 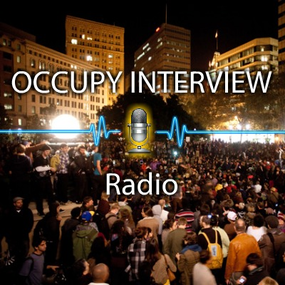 "You cannot work in any society without having some contact with the government," he says. He testified before a House committee that more than 50% of Palestinians get their health care from government clinics. Mahmud Abdu, a sergeant guarding the Palestinian side of the Erez Crossing terminal — a quarter-mile-long gauntlet of blast walls separating Israel from Gaza — says he hasn't been paid in two months. "One more month of this, and I will begin staying home," he says. An increase in jobless men could lead to a rise in violence, says David Shearer, director of the U.N. humanitarian office that prepared the report. "We'll soon see the rapid rise of security incidents," he says. Osama Attar, a grocer in Gaza, says his customers are increasingly pressed for money. From under the cash register he pulls out seven ledgers crammed with customers' debts. "Everybody lives on credit, including me," he says. I am putting out this call for your stories. 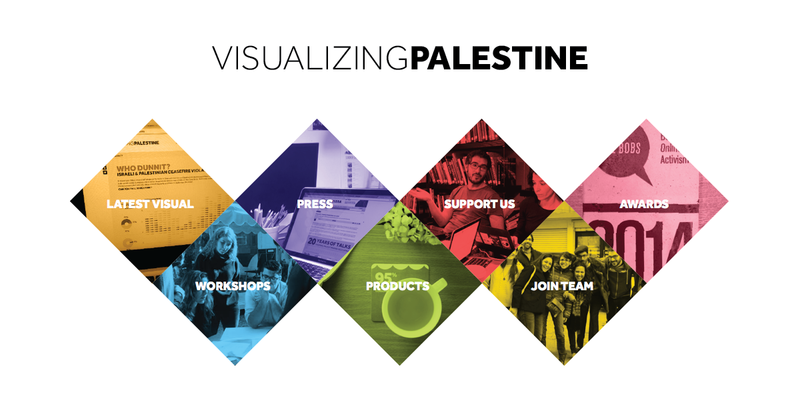 You are aware from going to Palestine, the one thing we are all, almost universally asked, is to "tell the world our story". In an effort to honor this request, I am in the process of assembling a book. But a book that is a little different. This is not a book on the history, or the politics, or the tragedy of the current situation. All of these have been told and been told well. Instead, this is a book of stories, whose purpose is to show the world, the dignity and love and resistance and valor and perseverance and hope, that is the Palestinian people. It is vital to convey these stories to America, to dispel the myths that plague our people. It is important also, to assemble these for Palestinians, to provide (I hope) a much needed source of encouragement and hope. I do not have enough stories to do this alone. So, if you have any stories that show the strength and dignity and hope of Palestinian people, please allow me to include them in the telling of this tale. Email me at jabood@neo.rr.com. Include as many details as you can, so it reads well. You may or may not choose to change names. And, it is important to remember that the power of these stories is not in how they end (for all too many do not end well), but the power, is in the actions and character of it's people. I would for this project to fail because people didn't take the time to write down a story. It is my hope that with your help, to do this service and to do it well. Palestinian children are not made for war, any more than Israeli children are made for war. Yet while the politicians jockey for power, our Israeli mothers go on loyally sending their children to join the army and terrorize the neighbors, as if that were a normal thing to do, believing it their duty to the nation; and Palestinian mothers continue to live in fear when their kids sneak out to throw stones at the tanks those Israeli kids are driving, and sometimes they come back in a box. Miki, a former babysitter for my children, granddaughter of a good friend, a sweet, charming girl, was conscripted into the Israeli army at 18 with all the other kids, and became a sharpshooter instructor. Her trainees, still children themselves, go out and shoot Palestinian children in the streets of Nablus or Hebron. Who can make sense of this? And what of another friend’s only son Haggai, the dreamer, the nature-lover, who will never sit under a tree again on a summer’s day, watching the clouds sail by in the sky? The Czar’s army (they call it the IDF here) got him, and ate him alive. 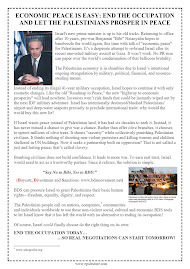 Indeed, the callous Israelis the Palestinians see are not the caring Israelis I know; and the one-dimensional caricatures of Palestinians the world sees in the media are not like the actual Palestinians I know, either. The Palestinians I know are regular, ordinary people, with good days and bad days like everyone else; not perfect, but human; people like me; just people. The Palestinians in the news are always either bad guys, or in mourning – either crazed perpetrators or hapless victims of violence. Why don’t the newspapers ever talk about regular Palestinians, just trying to have a life, just like you and me? A baker in Jenin bakes bread just like a baker in Kansas City or Calcutta, or Beersheba or Haifa; and some kid in Jenin named Mahmoud or Soheila eats it for breakfast with the same satisfaction your kids display, scarfing down their toast and jam in the morning. A minister friend of mine visiting Israel from the USA recently took an Israeli Jewish couple she knows to visit a Palestinian- Arab Israeli couple she knows, and the Jewish woman confided afterwards: “But their children are just like ours!” Well… yeah. Consider my friend, our brother in the quest for peace by nonviolent means, Sam Bahour, a fortysomething Palestinian-American who lives in Al Bireh (next to Ramallah) and believes in “business for peace.” You know he has to be an imaginative, creative, optimistic guy because he built a mall made mostly of glass in a town where any teenage Israeli tank commander could decide to achieve security for Israelis by shooting at someone or something in front of the Plaza Mall’s impressive glass façade, pretty much at any time. The Plaza Mall is still standing (as of this writing). I think Sam keeps it intact by voodoo. Meanwhile, whenever things heat up politically, armored vehicles, sometimes tanks, rumble through his home neighborhood at 2 or 3 or 4 AM, scaring the daylights out of his neighbors and his two young daughters. Israeli conscript soldiers not much older than Sam’s children, periodically roust pajama-clad people out of their beds to stand fuming in the street till dawn while their apartment complexes are searched for bad guys. It’s a relatively upscale neighborhood. The people in their pj’s are not very frightening types -- teachers, social workers, accountants. Try to picture a parade of tanks squashing all the parked cars in YOUR neighborhood some night. Sam’s wife won’t do lunch with Israelis like Sam does occasionally -- no matter how peace-seeking the Israelis proclaim themselves to be. Can you blame her? The new Abominable Trans-Israel Highway gets me to work in under an hour these days, from my house on the coastal plain to my job near Jerusalem. (Israelis call it Kveesh Shesh, which means Highway Six). In building it, the planners did what planners do – they listened to the rich people, the corporate bigwigs, and the politicians in charge, not to the communities they were paving over. As the new state-of-the-art, privately owned commuter highway came into being, Arab towns in Israel like Taibe and Tira saw their built-up areas cut off from their agricultural fields and groves and their open reserves of land for future residential construction, by the route of the Abominable Kveesh Shesh. Environmental and social activists waged a losing struggle for several years to have the route reflect a little fairness and sanity – let the predominantly Jewish towns along the route sacrifice some of their land, too; let everyone shoulder a fair share of the burden of modernization; and put some of the route underground to let the green spaces survive, for heaven’s sake. But no. The Kveesh Shesh planners knew they could screw the environmental lobby (virtually powerless) and of course the 1.1-million Palestinian-Arab citizens of Israel with impunity. The Arab legislators in Israel’s Knesset can’t protect their constituents when the pie is unequally divided yet again, because no Israeli national administration since independence in 1948 has included any Arab party in the governing coalition. Let ‘em eat the ballots their votes are cast on. One of every five citizens in the State of Israel is a Palestinian Arab (we are not talking here about Palestinians in the West Bank or Gaza). Insure parity in the allocation of state resources to guarantee they get their fair share? Nah. Not even when a string of official Israeli state commissions of inquiry, year in, year out, declares that it should be done, must be done, will be done. It’s never been done. The Abominable Kveesh Shesh is only the latest concrete proof (lots and lots of concrete) of this longstanding but shortsighted policy that continually makes enemies out of neighbors trying to learn to live together. You know what the private company that owns this toll road, taking a heavy toll in so many ways, is called? Derekh Eretz. It’s a play on words in Hebrew, roughly translating as both “national road” and an idiom meaning “courtesy and consideration for others.” They can laugh about that one all the way to the bank with the blood money - pardon me, the toll money. When I talk about this stuff with my friends in Israel or my family in the USA, nearly everyone has pretty much the same reaction: Why do I always take the side of the Palestinians? Why am I always harping on the bad things Israel does? Do I (as my own child once accused me) love the Palestinians better than I love my own family? No. Not better. But not less, either. I guess I’ve become a Jesus freak in my old age. I love my neighbor as myself. We need each other. 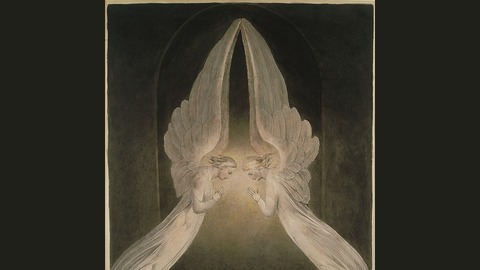 To create a sane, fair, prosperous future here, we need each other the way the light needs the shadow, and vice versa. Yin and yang. My enemy completes me, as some early Christian mystic once said. I don’t know why the politicians and the generals spend so much time, energy, and tax money trying to prove to us that it’s impossible to live together. The help we need is waiting right there on the other side of the wall. Ask the cousins to help us figure out how to live together. Ask Hamas. Tell ‘em: Suppose we don’t want to be your enemy any more. Come sit down with us as equals and let us find the better way. -Don’t say it can’t work. Has anyone ever tried it? Isn’t there a new organization of ex-combat soldiers from both sides advocating that we do precisely that? Superior force is never more than a temporary solution; even the guys with the guns are learning that, now. And what am I to do about the scary guard tower I pass every day on my way to work? Nowadays, I work in a nonprofit enterprise that seeks peace on several tracks: It trains Jewish and Palestinian young people and professionals to encounter the other and redesign their maps of reality to include one another’s presence in this land; it runs a primary school where Palestinian and Jewish Israeli kids can grow up together in comradeship instead of mutual fear and hate; and it runs a spiritual center where inward knowledge is tapped in the service of mutual respect and understanding between national and religious groups in conflict. To get to my office near Jerusalem, I drive right past a section of the Indescribably Obscene Separation Barrier that purports to secure my future as a peace-loving Israeli citizen. Every twenty yards or so, this wall – partially disguised with landscaping to look like any old highway noise barrier – sprouts some kind of electronic device with sensors or cameras or heaven knows what, pointed at the people living on the other side. And at the tail end of this particular stretch of Indescribably Obscene Separation Barrier is an Orwellian- looking guard tower, squat, heavy, forbidding, with medieval-looking slits behind which, I assume, sharpshooters can aim their doubtless radar-assisted, night-vision-equipped, microprocessor-enhanced weapons of small-scale but irrevocable destruction. Sometimes I imagine stopping my car and getting out and walking up the deceptively civilized-looking, artfully landscaped incline toward this guard tower to ask the young Israelis in there to reconsider the choices that have brought them to that place, that task, that venue for war crimes and their own future PTSD. 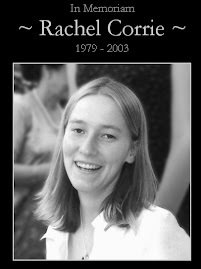 On really bad days I imagine it might be pleasant to keep walking until they shoot me, and be released to wherever Rachel Corrie is now. No more confusion about the clash of narratives. No more feeling like I have met the “Good German” and she is me. The Good German of half a century ago lived close enough to Dachau to smell the flesh burning in the ovens, but went to work every day as usual; gotta pay the rent, gotta put food on the table; she had kids to support, too. Am I her, now? If so, what shall I do about it? If not – just explain the difference, would you? Nearly all my friends cringe if I mention the Nazis, but how is perpetual humiliation and gradual starvation of an entire population any less awful than killing them quicker? In the Banality of Evil Department, who decides on the banality ratings for this or that regime of oppression? These are the thoughts that give me no rest, so that when a holiday comes around, as Passover did recently, I am unable to celebrate lightheartedly in the ordinary way. Occasionally, as I did this time, I go through the motions, but it seems obscene, somehow. I haven’t had a normal sort of holiday feeling in years. Lately, I finally figured out why. Going about your business as usual, insofar as possible, is an act of defiance when you’re being oppressed; but when you’re the oppressor, it’s an act of indifference. The way Catholics give up meat for Lent, I seem to have given up Jewish holidays for the duration. When the last checkpoint has been dismantled, when the wall has been taken down, when all the political prisoners go free, and the neighbors can celebrate their own holidays normally again, I’ll get my holidays back. Meanwhile… I write essays. One thing is very clear to me now: Once you let the humanity of the other into your consciousness, you can never go back. I often feel like the Little Mermaid of the fable, who wanted to stay on dry land and walk on two legs. Her wish was granted, but at a price: walking around among the other humans, she was perpetually in pain, feeling as if she walked barefoot on broken glass. I think about that sometimes, driving along the Abominable Kveesh Shesh on my way to my righteous job in the peace biz, passing the Orwellian guard tower bristling with unseen weapons, catching glimpses of the cousins’ neighborhoods over there on the other side of the Indescribably Obscene Separation Wall, watched over by well- meaning youngsters in uniform, the good-hearted sons and daughters of my ordinary Israeli friends and neighbors who believe that army service is a national duty, etc., whereas to me it’s the Czar’s army, no more, no less. (Once upon a time, Jews in Europe went to great lengths to keep their kids out of the Czar’s army.) My awareness of all those good-hearted people who are persuaded that it’s necessary to send their kids to kill and die for the nation, but treasonous to dedicate their lives to learning to live harmoniously with the cousins, is worse than fragments of glass underfoot; it’s like fragments of glass in my heart. There is no equating what Israelis suffer and what Palestinians suffer; the asymmetry is there for anyone to see. But pain is always personal. Consider my friends the T. family, whose only son was Haggai, that dreamy, nature-loving, gentle boy who liked to sit under trees and watch the clouds. He was conscripted a couple of years ago and given a bizarrely unsuitable job as a military policeman. He did his best to get transferred out of there, to no avail. Trapped! Trapped for three years in the Czar’s army. Three years is an eternity when you’re eighteen. Finally, he shot himself. At his base. On Yom Kippur. Now, when I quail at the anger my questions evoke among friends and family, when I feel like an outcast among my own kind, when I get really tired and wonder what it’s all for, I think of Haggai. We have to find a better way because we owe it to our kids. All of them, ours and theirs. 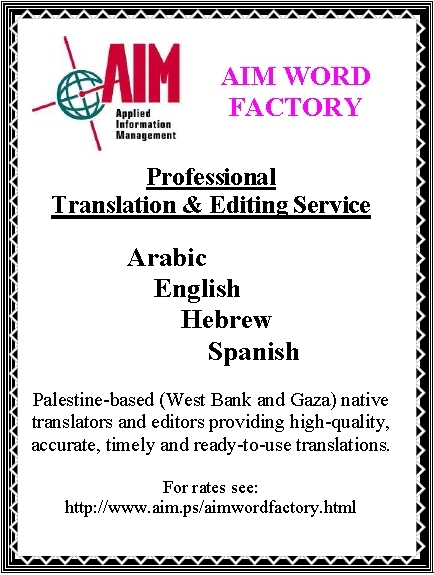 Once I asked an Israeli colleague how to get my writing out to a wider audience and he said, “Get rid of the Wise Mom tone.” I knew he was wrong, even then, and today I’m more certain than ever. The wise mom’s voice is almost the only sane voice left, as Nurit Peled-Elhanan recently told the European Parliament – fragments of glass in the heart notwithstanding. The generals and the politicians haven’t taken us anywhere worthwhile in a long, long, long time. It’s time to check out a new approach. It’s time to listen to the business-for-peace guys and the wise moms. It’s long past time. Deb Reich is a writer and translator living in Israel/Palestine. Contact her at debmail@alum.barnard.edu . Copyright 2006 by Deb Reich. Dissemination with attribution is encouraged. Ramallah -- Reiterating his opposition to the Israeli occupation and expressing his support for the Palestinian people in “their struggle to be free,” the internationally renowned rock star Roger Waters has announced that he is relocating his Israel performance in recognition of the problematic nature of the previously planned Tel Aviv venue, particularly at a time when Israel is escalating its repression and apartheid designs to further dispossess, ghettoize and ultimately ethnically cleanse Palestinians from their homeland. The former member of Pink Floyd and the writer of its timeless song “Another Brick in the Wall” called off his Tel Aviv gig, heeding an appeal by many Palestinian artists and cultural organizations and their supporters around the world who feared such a performance, particularly by a respected and progressive artist like Waters, would have given legitimacy to Israel’s colonial Wall, condemned as illegal by the International Court of Justice at The Hague in July 2004. Supporting the Palestinian letter to Waters, a group of Israeli refuseniks (conscientious objectors to service in the occupation army) also appealed to Waters to either cancel the Tel Aviv show or dedicate it explicitly to the struggle against Israel’s military occupation. By calling off the Tel Aviv gig, Roger Waters has reconfirmed his commitment to freedom, equality and peace based on justice. Indeed, Waters’s moral compass has proven to be not only live but pointing in the right direction as well. Reacting to the news, Palestinian civil society has warmly saluted Roger Waters for his courage and for his valuable contribution to bringing down all walls of oppression and subjugation, Israel’s Wall of shame included. This week’s suicide bombing in Tel Aviv, which took nine innocent Israeli lives and one innocent Palestinian life, was the most predictable act by any novice observer of the ongoing conflict. A Palestinian in his late teens, early twenties, possibly the youngest suicide bomber ever, from a small, besieged village near the Palestinian city of Jenin in the northern part of the Palestinian Authority, entered a restaurant in Tel Aviv, Israel and used his body, strapped with explosives, as a weapon to kill as many patrons as possible. Horrifying indeed, but, no more or less horrifying than what this Palestinian probably faced since his birth, while living under Israeli military occupation every single day of his life. Suicide bombings feed modern media, whereas, a decades old military occupation feeds on the occupied. The White House press secretary wasted no time in issuing its statement, as has become the callous routine. The statement said, “The burden of responsibility for preventing terrorist attacks such as this one rests with the Palestinian Authority (PA).” The sentence, I’d bet verbatim, has been repeated dozens of times in past White House press releases every time a Palestinian perpetrates an act of violence against Israelis. No link is made between this unachievable demand from the Palestinian Authority and the international sanctions the U.S. is leading to collapse this very same Authority. Strangely enough, or maybe not so strange, is the total silence from Washington over the past months and years as Israel battered the Palestinian civilian population in Gaza and across the West Bank, in cities like Bethlehem, with armament and actions ranging from F- 16 fighter jets to fully armored brigades rampaging Palestinian homes. Add to this non-stop collective punishment, travel restrictions, home demolitions, arbitrary imprisonment for months on end, uprooting of olive groves, the apartheid wall, land confiscations – the list is endless. For those who want to understand the cause of suicide attacks it is not too difficult. Are the Palestinians not allowed to ask why military occupation is allowed to continue unabated for 39 years? Is it out of line for Palestinians to view the military siege and bombardment of their cities as state terror? When, on average, for the last 24 months, a dozen Palestinian men are hauled away in the middle of the night, nearly every single night, to the dungeons of Israeli prisons, without charge, trial, or lawyer; are the Palestinian children left behind, expected to remain childlike? When, since September 28, 2000, at least 67 women have given birth at Israeli checkpoints and as a result, 39 newborns died or they were delivered stillborn , are Palestinians expected to accept this as their fate without crying out? When, in less than 5 years, over 740 children, some infants are killed by Israeli gunfire, many while in their homes, several at point blank range, and the White House brushes away the issue as if nothing happened, are Palestinians expected to remain sane?! The questions are endless; as endless as the lack of official moral outrage at this state terrorism and the responsibility the Israeli government bears for its continuation. No media outlet, so far, has linked this latest restaurant bombing with the declaration in the Israeli newspaper, Jerusalem Post (April 13), only a few days before by Israeli Major General Yitzhak "Haki" Harel, head of the Israeli military Planning Directorate and a senior member of the military’s General Staff, where he said, “We are at war.” Major General Harel went on to boast that, nevertheless, Israel's security situation has never been better during its soon-to- be 58 years of statehood. A Palestinian inside this hermetic sealed open air prison should just accept his fate, which is equivalent to a human animal put in a cage by a foreign army. So it seems, this Major General would wish. The Jewish people, should know, far better than any other, that such a policy could never result in the collective submission of the Palestinian people. God only knows what Major General Harel has in mind for the one million Palestinians living on the Israeli side of the apartheid wall and are Israeli citizens. Suicide bombings are wrong, period. They do not serve a purpose and they will not bring an end to Palestinians nightmare of ongoing Israeli occupation. But in order to get them to stop, we must address the root causes of why they happen and not the horrifying symptoms that they reflect. The international community should not remain statement-pushing observers to innocence killing innocence, but rather it is past time that every country, especially the U.S., use their leverage to bring a legal and moral baseline to this conflict. That baseline must be Humanitarian and International Law. Otherwise, all we have left is the Law of the Jungle, as we have today, and then, who are any of us to set the rules. 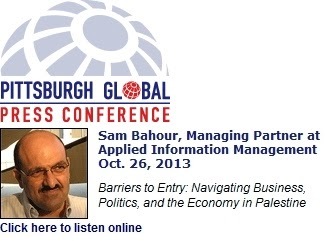 Sam Bahour is a Palestinian-American businessman living in the Israeli-occupied Palestinian city of El-Bireh, the sister city of Ramallah. 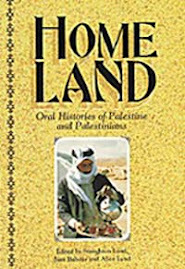 He is co-author of HOMELAND: Oral Histories of Palestine and Palestinians (1994) and may be reached at sbahour@palnet.com. [ePalestine] Who is a terrorist? This was written yesterday by an Israeli journalist (one of the brave handful that see the results of Israel's occupation) in an Israeli newspaper. Today, watching the latest suicide bombing in Tel Aviv, I think many of his questions are answered! The scenes from Gaza are heartbreaking. Heartbreaking? That's not for certain. The sight of the Aben family from Beit Lahiya mourning its 12-year- old daughter Hadil last week did not stir any particular shock in Israel. Nor did anyone take to the streets and protest over the sight of her wounded mother and little brother lying in shock on the floor of their shanty in Gaza. On the day Hadil Aben was killed, Yedioth Aharonoth carried a story about Nelly, the dog from Kibbutz Zikim that died of heart failure from the booming noise of the Israeli artillery firing into Gaza. Instead of expressions of sorrow at the death of children, the upper echelons of the defense establishment came out with a stream of strident statements. The defense minister said that the only thing to do was step up the pressure on the Palestinians. The deputy chief of staff spoke about a possible invasion of Gaza and the head of army operations added, "what we've seen so far are only the previews." The IDF announced it would further reduce the "safety range" that is designed to avoid shells hitting the civilian population. It was a chilling, united chorus. Israel is dropping thousands of bombs on towns and villages, on the "the launching pads" of the Qassams - another dubious term created by the defense establishment and blindly adopted by the press - and only the Palestinians, whose Qassam rockets haven't killed anyone since the disengagement, are called "terrorists." 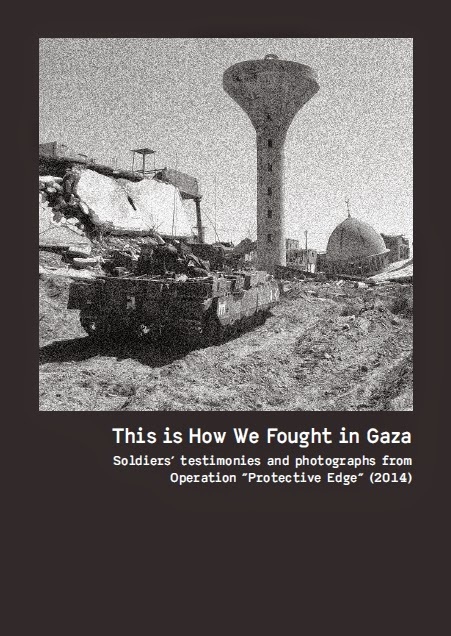 Nor was there any substantive debate after a possible slip of the tongue by Foreign Minister Tzipi Livni, in an interview to the BBC, in which she said that there was a difference between attacking civilians and attacking soldiers. Even though she did not resolutely stand by her own words in an interview with Channel 10, Livni dared to speak the truth: If harming civilians is a measure of terror, then Israel is a terror state. With 18 killed in Gaza alone in 12 days, three of them children, the absence of intent cannot suffice for us. Someone who uses artillery to shell population centers and says with horrific indifference that this is "just a preview," as if it were another reality show on TV, cannot claim that he does not intend to kill children. Those responsible for such bombings around the world are rightfully considered war criminals. That's terror - just ask Livni. And when it is done in the name of a state, it is much worse than in those cases when the perpetrators are from rogue organizations. Israel declares it is striving to apply pressure with its cannon on the Palestinian population, so that it will prevent the Qassam fire. That is a hollow argument. No Palestinian leader can promote a cease-fire while dozens of civilians are being hurt. No Palestinian, no matter how peaceable, can prevent with his body the launches from inside Palestinian Authority territory. Could Hadil Aben's parents have done something? What exactly was the crime of these poor people? And how, exactly, will killing their daughter lead to a halt in the Qassams? The continuing imprisonment of besieged Gaza is precisely the opposite policy that should be applied to serve Israeli interests. The current policy only strengthens support for the Hamas, just like the terror attacks within Israel always strengthen the Israeli right. A nation under siege, its leadership boycotted, will have far more determination and resolve to fight to its last drop of blood. It is impossible to break the spirit of a desperate people. Only a nation that sees a light at the end of its desperation will change its ways. What would happen if Israel were to turn to the world and call upon it to enlist in the cause of support for the residents of Gaza, to donate and invest money to help them out of their utter poverty? If an Israeli prime minister did such a thing and at the same time called for a meeting with his elected Palestinian counterpart, it would create far more effective and positive pressure than any cannon fire. If the Palestinians only saw for the first time in their lives that Israel also had their well-being in mind, which is not necessarily bad for Israel, they would have a lot more to lose and they would expel the Qassam launchers themselves. Only the Palestinians can do that, and sowing the seeds of hope is the only way to do so. And if, in the current situation, the artillery fire were to end, and they were to stop the Qassams, would Israel ease the siege, enable freedom of movement from Gaza to the West Bank, allow Palestinians to work in Israel, agree to the construction of a seaport and airport in besieged Gaza? Israel's declarations prove that the answer to all these questions is an unequivocal no. Its current policy and the policies we have seen it adopt lead only to intensification of the violence on the part of the Palestinians. No Qassam justifies the killing and terror that the shells sow in Gaza. Cannons are meant for war against an army. Using them against a helpless civilian population is supposed to be beyond the realm of the legitimate, without any ifs or buts about it. A state does not shell towns. Period. Just like in the war against crime that is also deadly and endangers state security, no end justifies all the means. Would it ever occur to the Israeli police to evacuate an entire neighborhood from which some murderers came? Would anyone decide to shell such a neighborhood, even if it would mean minimizing the crime coming out of it? Those who really want to end the Qassam launches from Gaza, should turn Israeli policy upside down. To show restraint in the face of the Qassams, to lift the siege, to immediately meet with the elected Palestinian leadership and call on the world to stop withholding the funds from the Palestinian Authority. 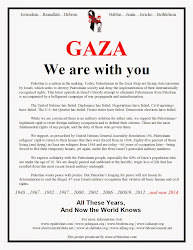 Only a free and secure and thriving Gaza will stop launching Qassams. Have we ever tried that? [ePalestine] "...Surely the EU can do better...."